Seeing celebrities take out the time to be a part of an initiative that aims to help out the citizens of our country, especially those who are in dire need, is always heartwarming to witness. This Thursday, Pakistan’s very own TV and film celebrities are getting together to do just that, and in the process, using their influence in a positive way to encourage all their followers and fans to donate. On 9th August 2014 prominent figures such as Adnan Siddiqui, Sajid Hasan, Humayun Saeed, Saud, Aijaz Aslam, Fahad Mustafa, Fakhar-e-Alam, Amjad Sabri, Asad Malik, Kamran Jilani, Danish Taimoor, Noman Habib, Tahir Kazmi, Shahzad Ali Khan, Rashid Farooqi, Mukhtar Ahmed, Ali Kazmi, Ayaz Soomro, Irfan Motiwala, Nawab Alam and many more, will be participating in a night cricket match organized by Dr. Syed Mohammad Ali Shah. The match is providing Pakistani celebrities with an ideal platform through which to receive and collect donations for this cause. Faysal Quraishi, TV One’s morning show host, who is an avid cricket player, will be also participating in this match. It has been specially organized to raise funds for the IDPs. 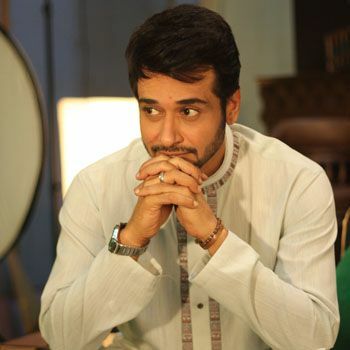 When a fan asked Faysal Quraishi as to which charity organization he wanted to support, helping out the IDPs was at the top of his list. “It is our responsibility as human beings and as Pakistanis”, he said. The match will be taking place Thursday night at Asghar Ali Shah Cricket Stadium in Karachi and it is expected that TV stars will be playing against film stars. Now who wouldn’t want to see that! For those interested in supporting the IDPs through this match, all you have to do is buy a ticket to the match from AO Clinic or Agha’s Supermarket in Karachi, and the money you spend to watch this exciting match, will be donated to helping the IDPs.